Nickel allergy is the most common form of allergic contact dermatitis. 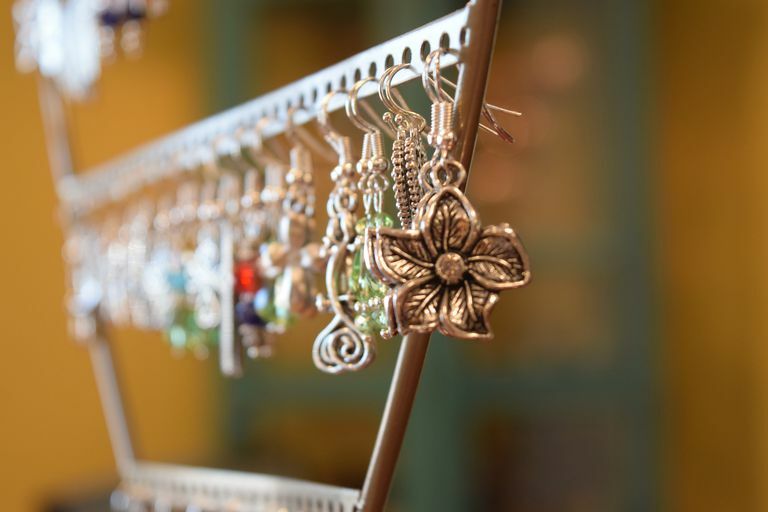 People who have nickel allergy often notice a dry or blistering itchy skin rash at the site of contact with various jewelry or other metallic items. For example, nickel allergy often causes itchy rashes on the earlobes from earrings, the neckline from a necklace, the wrist from a bracelet or wristwatch, or near the umbilicus ("belly-button") from a belt buckle or jeans rivet. More recently, there have been reports of cell phones causing facial rashes as a result of nickel allergy. Less commonly, nickel allergy causes a rash all over the body as a result of nickel being eaten and absorbed into the body. This has been reported to occur from orthodontic braces, tongue piercings, nickel leaching into food from old pots and pans, and even eating foods containing high amounts of nickel. Foods that contain high amounts of nickel include legumes, leafy green vegetables, and various nuts and seafood, but only cause problems in highly sensitive people with nickel allergy. Nickel allergy may occur at any time during a person’s life, even when symptoms didn’t occur in the past. A person may have become allergic after being exposed to a large amount of nickel or after a nickel-containing material came into contact with broken skin (such as a cut or sunburn). A person’s tendency to react to nickel is probably genetic, meaning that nickel allergy probably runs in families. Nickel allergy is diagnosed with the use of patch testing, which involves placing a paper tape containing nickel (and other chemicals) onto the skin for 48 hours. In people with nickel allergy, an itchy, blistering bump will form at the site of the patch test, although this may take a few days to occur even after the patch test has been removed. Often, a person with nickel allergy will have reactions to other metals as well, such as cobalt and chromium. Treatment of nickel allergy mainly involves the avoidance of nickel-containing materials. When a rash occurs as a result of exposure, the use of topical steroid creams is helpful to treat the symptoms. A test to determine the presence of nickel in jewelry and other metallic devices, called a dimethylglyoxime test, is available commercially.